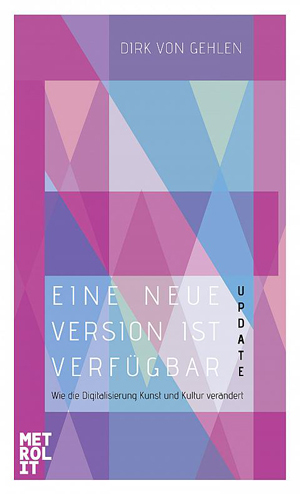 We use this phrase when we talk about software: “There is a new version available” isn’t very common when we talk about books, movies or music – so far. With this book the german journalist Dirk von Gehlen shows that we can think about cultural products as we think about software – in versions. “There is a new version available – How Digitalization Changes our Idea of Culture” simultaneously describes and proved this assumption that we have to regard books, movies and songs as we regard software: as a process not only as a product. Like software that is delivered in versions culture can also be opened to its versions. With this assumption this book wants to stop the narrative of the danger of digitalization. If we understand the conditions of this change, it will be open up opportunitys to creative persons in journalism, music or film business that are much stronger as the negative implications of digitalization.